Two security guards were stabbed when a fight broke out at the entrance to Coachella this past weekend. Just before 10:30 a.m. on Sunday, two groups of employees who work for the same security company began arguing at the check-in area of the Empire Polo Fields, according to the L.A. Times. The dispute quickly escalated into a brawl and police officers were called into break up the fight. Two men were found to have stab wounds from a knife—one to the stomach, the other to his limbs—while another man suffered separate injuries to his face and head. The victim with a stab wound to the stomach was taken to a nearby hospital for non-life threatening injuries and was in good condition by Monday, according to the Desert Sun. The other stabbing victim was treated on the scene and released. The third man was also taken to the hospital for treatment and was released on Sunday. The stabbing suspect has yet to be identified. Investigators have interviewed several witnesses, but have not made any arrests. Anyone with information is encouraged to call investigators at (760) 391-4057 or (760) 341-7867. 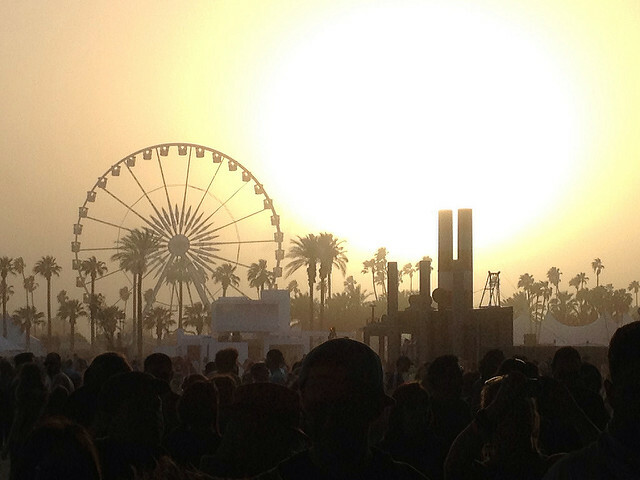 Indio police say they arrested 128 people during the first weekend of Coachella, the majority of the arrests, perhaps not surprisingly, were for drug and alcohol violations.